Spend a quiet evening in the Blue Ridge Mountains in the record room of collector Christopher King — all without leaving your house! 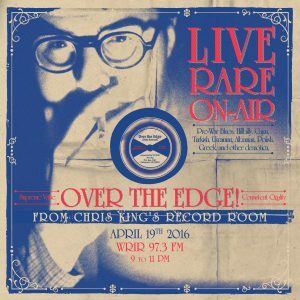 WRIR volunteer DJ, Otto, will host Over The Edge from Nelson County in the home of Christopher King. 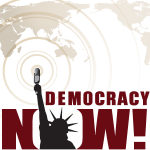 It will be broadcast live on WRIR, 97.3 FM, and simulcast at www.wrir.org/tunein. It’s part of WRIR’s continuing effort to make our on-air fund drives a celebration of community radio and you! Christopher King is a re-mastering engineer, producer and author, who founded Long Gone Sound Productions in 1999. He specializes in pre-war rural American music (with an emphasis on Cajun), Greek folk, various Eastern European, Balkan, and Mediterranean music. He is currently writing a book for W.W. Norton & Company on the music of Northern Greece. His latest collection, “Why The Mountains Are Black: Primeval Greek Village Music, 1907-1960” was issued by Third Man Records. Oh, and he won a Grammy in 2002 and has been nominated four times since then. It’s easy for you to support WRIR’s community radio. Make your donation online at www.wrir.org/donate. WRIR is able to broadcast and operate thanks to the gifts made during our fund drive. Join us!